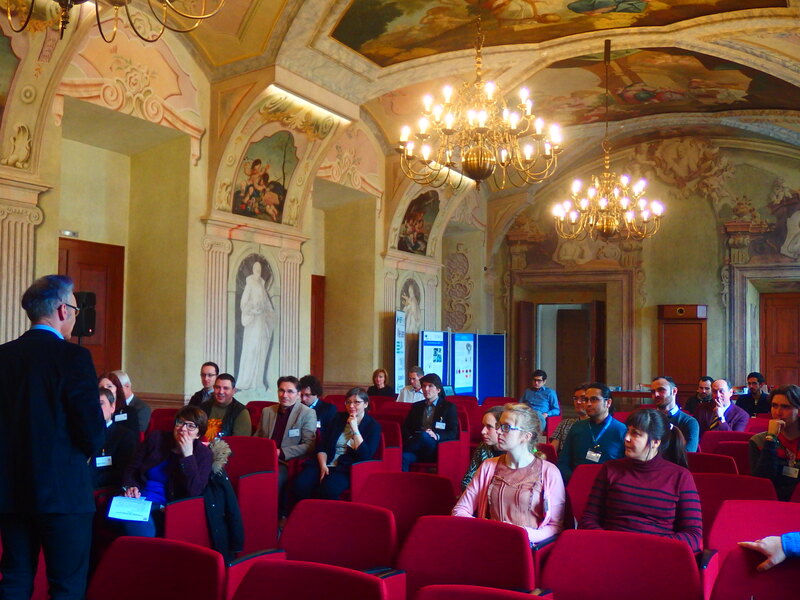 About 60 participants from 11 European countries explored synergies fostering knowledge transfer and network for the development of innovative technologies and applications in the field of nanotechnology at the conference “Nanotechnology: from Materials to Science” held in Prague on 15-16 February. Nanotechnology is applied and necessary for a very wide range of applications, and keeps continuously developing to face challenges in sectors such as health, food, construction, ICT (Information and Communications Technologies), energy, etc. The need for innovative solutions to such challenges is becoming stronger. For that reason, the Research to Business event organized by ESP together with CERIC, ESS, and HZG, brought together researchers and industry experts, to share and discuss Nano-structures’ and state-of-the-art Nano-analytics’ industrial applications. Scientists with a wide expertise in materials characterization presented the possible uses of various techniques available in CERIC, such as XPS (X-ray Photoelectron Spectroscopy), EPR (Electron Paramagnetic Resonance) spectroscopy, TEM (Transmission Electron Microscopy), ERDA (Elastic Recoil Detection Analysis), and more. The companies attending the event were introduced to some of the CERIC’s internal research projects, such as Nano-Analytics in Pharmaceutics and RENEWALS. 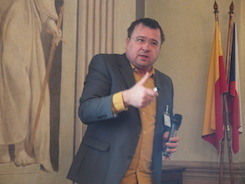 The first one was presented by its principal investigator, Aden Hodzic, who gave an overview of the nano-analytical techniques and methodologies used in the research and quality control of pharmaceutical products. Part of the presentations from speakers included Lisa Vaccari’s from Elettra Sincrotrone Trieste (CERIC’s Italian Representing Entity), who showcased the first results of the RENEWALS project focusing on the cytotoxicity of aluminium nanoparticles for human lung cells. Also, Andrei Galatanu from the National Institute of Materials Physics (CERIC’s Romanian Representing Entity) presented the nanofabrication facilities at RITecC (Research Innovation and Technology Center for New Materials), the investigations conducted using EPR spectroscopy (Electron Paramagnetic Resonance) of doped wide-bandgap semiconductors, and more. Moreover, Milko Jakšić from the Institute Ruđer Bošković (CERIC’s Croatian Representing Entity) presented some sensitive non-destructive analytical techniques such as ERDA (Elastic Recoil Detection Analysis) and RBS (Rutherford backscattering) as well as their applications for industrial purposes. The programme of the event included sessions that tackled industrial research aspects and challenges related to nanotechnology in different sectors. A valuable example is the one of Diego Ettore Liberati from the the National Research Council of Italy, who described how nanotechnology can help in finding efficient solutions to complex challenges, such as the development of nanoparticle drugs which can reach precisely only the targeted cells in the human body. 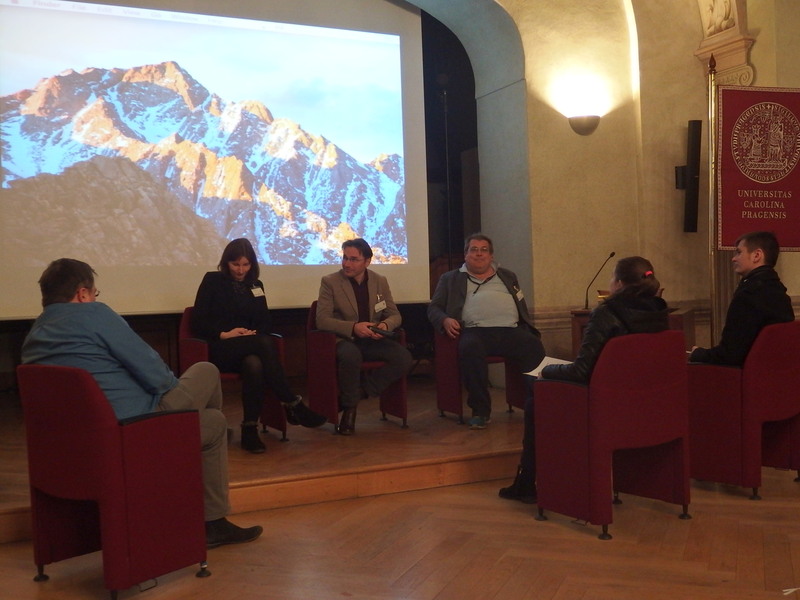 The event was organized in the framework of the ACCELERATE project. Download the programme of the event here (including sessions’ abstracts). Watch the picture slideshow here.